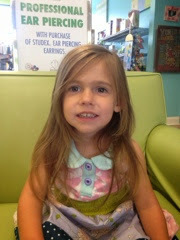 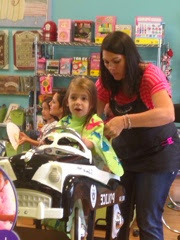 It only took us three years, but we finally took Alli for her first haircut while Lila was at school. 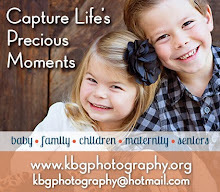 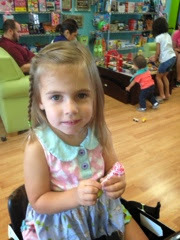 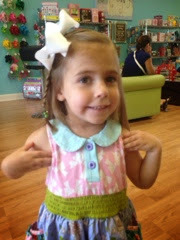 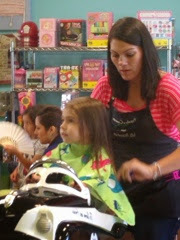 We went to Pigtails and Crewcuts, and it is the cutest place! 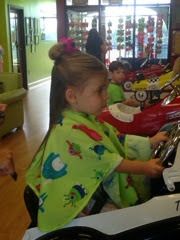 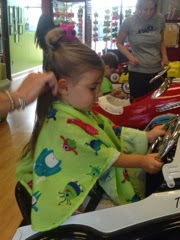 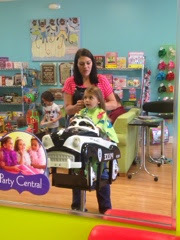 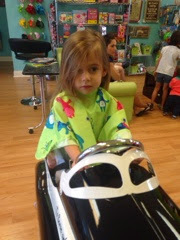 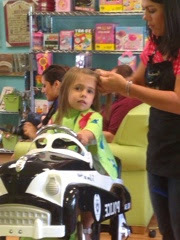 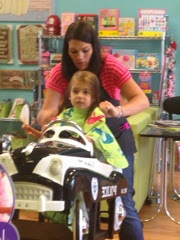 Alli picked out the police car to sit in and was a great listener when the stylist would give her directions. 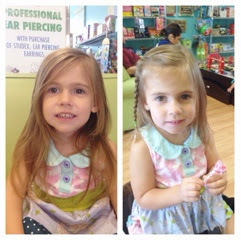 She looks so cute with her new haircut, and the stylist even have her a little braid at the end.